It’s a hell of a story. And now it’s all on one massive album – ‘Brothers, Angels & Demons’ to be available on August 4th…. and this coincides with the release of an epic book on August 1st that gives readers the definitive authorised story of the history of The Angels. John and Rick Brewster have regaled long-time associate Bob Yates with the warts and all inside story of The Angels. Released on August 1st, this very thorough text delves into the extraordinary journey of one of the greatest and most influential rock bands Australia has ever produced. Jimmy Barnes quite simply describes The Angels as being “A band that changed Australian music forever“. The new album starts with the Moonshine Jug & String Band, and also features choice cuts from The Angels’ chart-topping years with Doc Neeson, gems from the Brewster Brothers repertoire, plus some cracking tracks from the recent line-up of The Angels, with Dave Gleeson on vocals and John’s son, Sam Brewster on bass guitar. To celebrate the release of the Brothers, Angels & Demons album and The Angels book, John and Rick Brewster will be travelling around the country – treading a well-worn path from years of gigging – delighting audiences with an intimate evening of reading, music, questions & answers. As a special bonus, the MC for the evening will be Raymond Hawkins aka ‘The Electronic Swagman’ who spent many years on the road both here and overseas with The Angels as their brilliant lighting director. With his unique firsthand experience of the band’s rise to fame, Raymond brings with him his own humorous stories about The Angels. These shows will be filled with rare insight into this iconic Australian band and are not to missed. John and Rick will also be personally signing copies of the new book, The Angels, on the night. 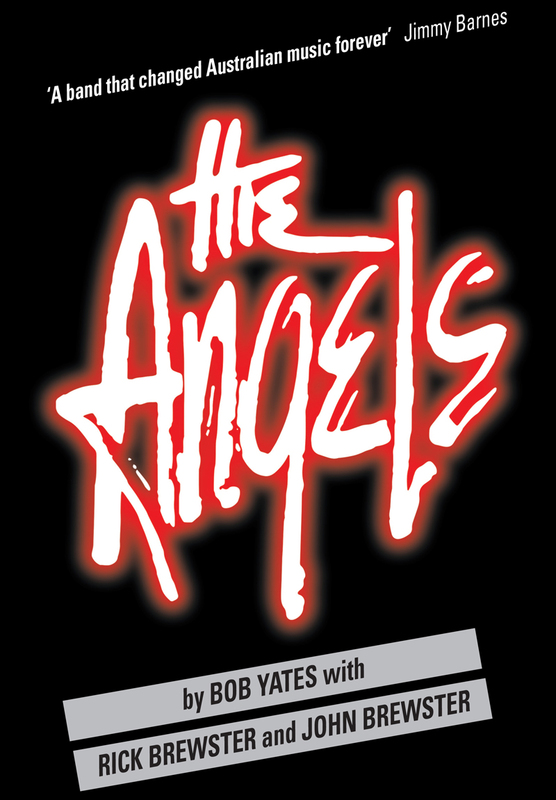 This is a very special moment for all of the band’s fans in the ongoing story that is The Angels!